Nina Miller and Unicorn Warpath performs. Photo by Shane Shellenbarger. 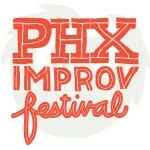 It takes almost a whole year to coordinate the Phoenix Improv Festival, so it’s kind of funny that after all that planning, no one really knows what’s going to happen. 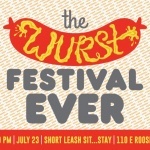 Of course, the planners wouldn’t want it any other way, because after all, it’s improv – that unscripted, anything-goes style of theatre that famous names like Tina Fey, Stephen Colbert, and Bill Murray all have on their resumes. 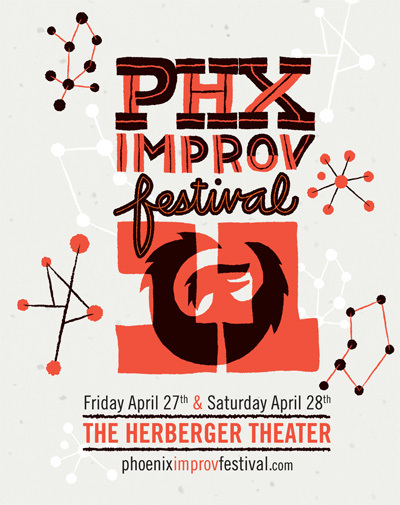 In its 11th year of celebrating the art of unpredictable comedy performance, the Phoenix Improv Fest takes the stage at Downtown Phoenix’s Herberger Theater Center over two nights on April 27th and 28th. 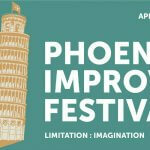 Friday night will feature some of Phoenix’s best local improv talent and Saturday night will highlight national troupes from places like Chicago, Los Angeles, Austin, and Minneapolis. José Gonzalez. Photo by Xchel Hernandez-Zendejas. 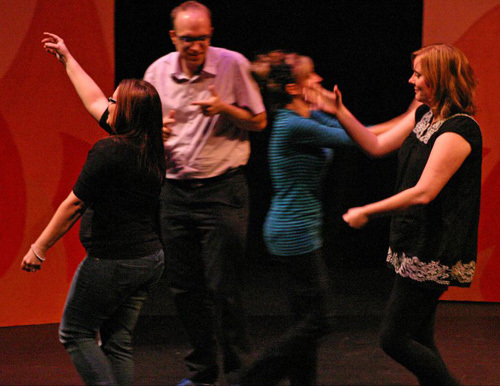 While the Phoenix Improv Fest is a much-anticipated annual event, improv can also be found in Uptown every weekend at The Torch Theatre, Arizona’s only venue for long-form improv comedy. 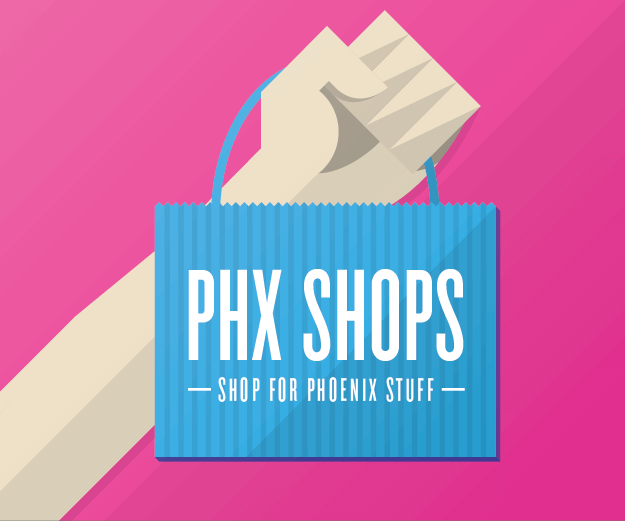 From a space that was once a barbershop at Central and Camelback, they offer live performances every Friday and Saturday night. Audiences can catch a variety of shows like the “Skewed News Hour,” which runs wild with headlines ripped from the day’s news and “The Revolver,” a rotating blend of local shows and teams. 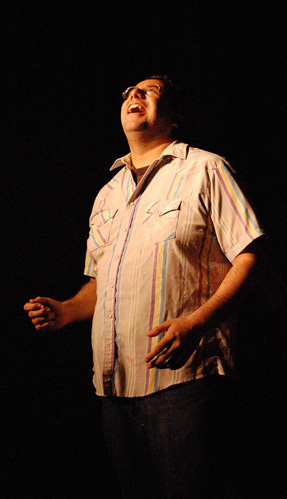 If you’re inspired to get on stage after witnessing the pros at these performances, you can sign up for improv workshops at The Torch Theatre, including a free drop-in workshop on Thursday, May 3rd. 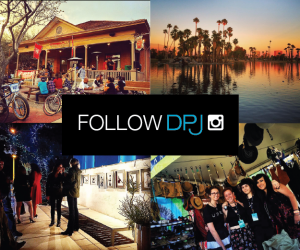 Complete class and performance listings are available on their website. 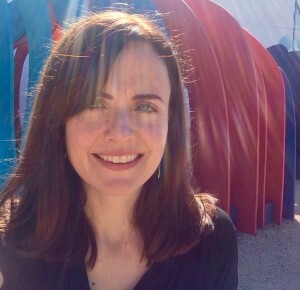 Gonzalez, who performs and teaches at The Torch, has been there since its inception. He says it was important to establish the theatre in central Phoenix because it had the right vibe and because many of their graduates and students are members of the downtown arts scene. Photos courtesy of The Torch Theatre.